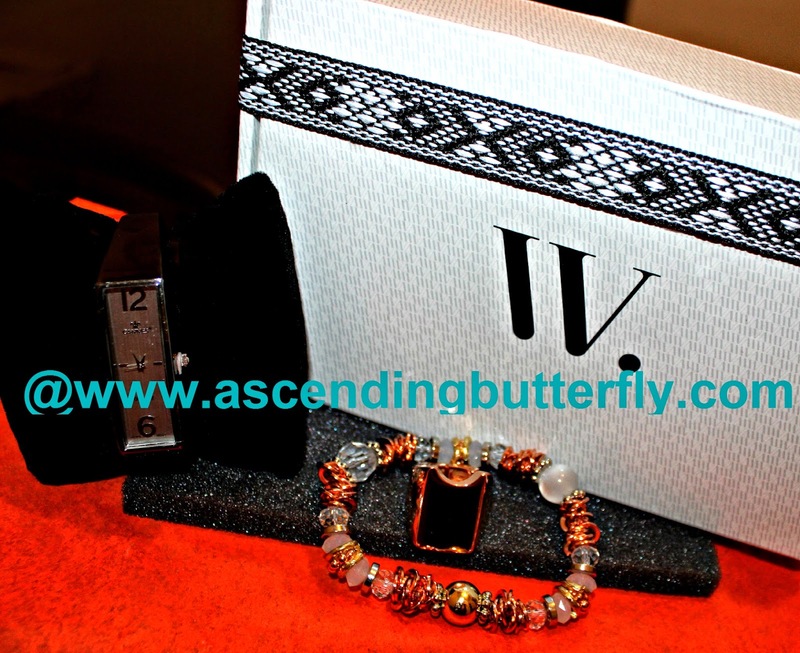 Want to try out Trendy Accessories that are delivered fresh right to your door every month? Wantable.com is for YOU! My name is Tracy, and I am a 'Subscription-Box-A-Holic', this is where you would say something supportive like 'No worries Tracy, we are too'. But then I'd have to promise to stop and I know I am NOT going to do that! Un-boxing Subscription Boxes is a tough job, and somebody's gotta do it. I think it only fair it be ME! For me, Subscription Boxes are like my birthday and Christmas all rolled into one. They are much like snowflakes as so far, no two boxes have been alike (and I try out a ton of them! ), which is exactly what I love. I have never had a 'been there, done that' reaction to any box from any service so far. Last month I opted for the Lingerie box from Wantable.com, and this month I am trying out an Accessories Box. I have a confession to make, my first Accessories/Jewelry Box from Wantable wasn't the best experience, but I love that when I told them so, they wanted to make it right. As a consumer that put me at ease. Just like people are advised in dating relationships to test the relationship under a variety of variables before making a full commitment, I liked that they were open to honest feedback and continued working with me until we hit on something that really resonated. That my butterflies is a business you want to patronize. Not everything is wine and roses all the time, it's how it's handled that makes or breaks the experience in my opinion. Ƹ̵̡Ӝ̵̨̄Ʒ - Jocelyn Ring - A big bold statement ring that keeps with the Rose Gold Trend! Ƹ̵̡Ӝ̵̨̄Ʒ - Elise Watch - This Gun-metal colored beauty is bold, trendy and has it's own magnetic closure to adjust to most wrist sizes. Ƹ̵̡Ӝ̵̨̄Ʒ - Theresa Bracelet - Mixed Metal with touches of Rose Gold makes this bracelet the perfect partner to the Jocelyn Ring! Keep your hands off my Wantable Box! Don't you just love my KISS Gel Fantasy Nails? I haven't quite yet hit on my perfect Wantable Accessories Box yet. I keep putting LOVE on the Statement Necklaces and still haven't been sent any yet, so I am going to have to play with my pre-box survey settings until I finally hit on one. These are definitely items I may not have thought to pick for myself, but I am a huge watch lover so was stoked to see a watch that was also in a color I have never owned in a watch. I love that gunmetal grey color! I love the Tribal Headband and actually have a blouse that matches it, stay tuned for a photo of me wearing it! I have worn the bracelet and ring together also and have received tons of compliments, so I would say SCORE! I do however wish I could try out all four boxes per month because I hated giving up the lingerie box, and now want to try the new Fitness Box to see how it compares to my current fave in the fitness box subscription space, Fab Fit Fun. I love that Wantable has a little something for everyone, you can get an Accessories Box, an Intimates Box, Makeup Box or Fitness Box! You can go "Forever" and subscribe for $36 a month or you can opt for a "For Now" which is the purchase of a single box for $40. Note that Subscriptions are shipped automatically each month, but they can be skipped or cancelled at anytime and if you get a box and you are not in love? Send your box back for a full refund, no questions asked! Now that is what I call ZERO RISK butterflies! And as no two people are the same, no two boxes are ever the same either, pretty cool right? oh, and did I mention that shipping is free in the United States? 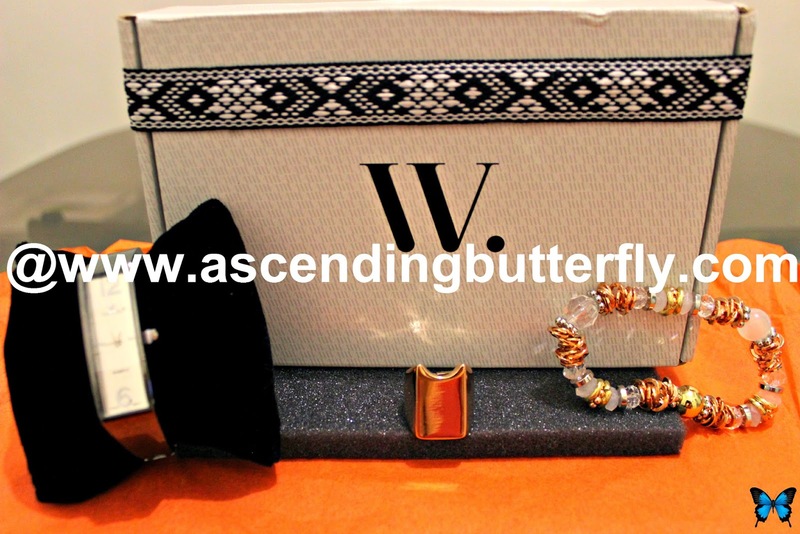 I have to thank this Wantable Box for introducing me to Cate & Chloe Jewelry, I love their pieces as well, and they also have a subscription box so I am going to have to reach out to them for sure! Which piece resonates most with YOU Butterfly? FTC Disclosure: This is not a paid insertion, however affiliate links are used (so please shop away!). This is a non-compensated post and all opinions are expressly my own. I was provided with a Wantable Subscription Box to facilitate my review. This in no way influenced my opinion. I am disclosing this in accordance with the Federal Trade Commission 16 CFR, Part 255 - Guides Concerning the use of endorsements and testimonials in advertising, you may visit our full giveaway and disclosure page for complete policy information. This looks like my kind of subscription box! I can't believe that it came with a watch too. I love accessories so I can't go wrong with this. and not breaking the bank to do so is the icing on the fashion cake! What a fun service and great jewelry! Nice goodies, I really like the Theresa Bracelet .By the way cool nails .I'm always excited to see all the new things you bring to us and how you feel about them ,makes it so easy to try new products with confidence TY . I think my girlfriend would really love the Jocelyn Ring. She likes punchy jewelry. I love that nail polish red color. I also love love love that bracelet. I love that bracelet. It is very pretty and with a houseful of girls they would love the polish. I so need something like this. I get in a rut with my accessories. The Elise gun-metal watch is my kind of style. I love all of these pieces. Sometimes I get frustrated with working from home for the simple fact I don't buy stuff like this anymore. No reason to get dressed up to go to work. Looks like you got some great stuff in this box. Subscription boxes really are a great treat! I love trying new goodies and getting surprises. This looks like fun and yes I sure do love your KISS Gel Fantasy Nails! So pretty! I love box subscriptions too!!! That bracelet would be my favorite. Your nails looks great. Love the color. I want to try this box now. This sounds like a great service to take advantage of. I don't wear jewelry far enough, I need to look into something like this to help encourage me to wear it! I know a few people who are crazy about Subscription Boxes as well. I have never tried it, but I am intrigued. The watch is my favourite piece from your box. I subscribe to a great make up one for only $10. I really like some of them. They're hard to tell until you subscribe. I really like the idea of jewelry! I've never heard of Wantable, but I'm totally checking them out now. I love that watch! !